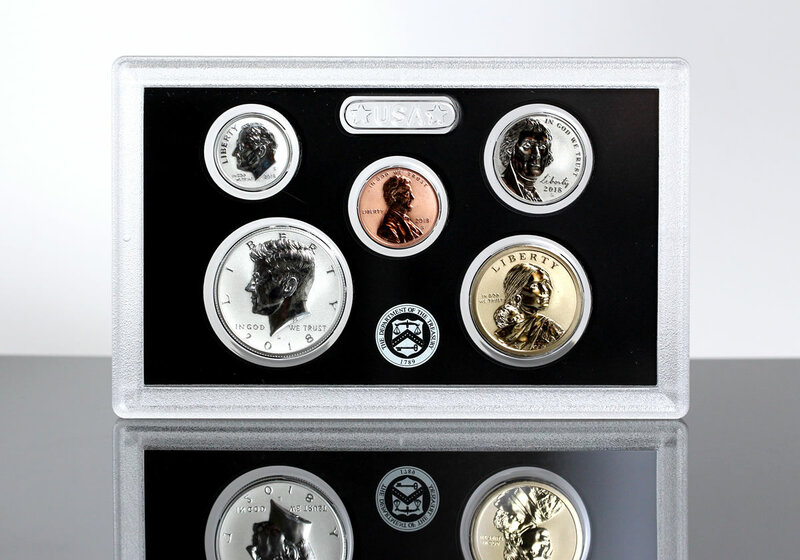 The 2018-S Silver Reverse Proof Set includes two protective lenses to hold its 10 coins. This CoinNews photo shows the lens for $1, 50c, 10c, 5, and 1c coins. Numismatic demand for U.S. Mint products improved for a fourth straight week, according to the latest sales figures. 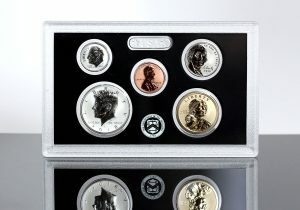 The new 2018-S Silver Reverse Proof Set helped in boosting overall sales. It launched a week ago Monday, July 23. Orders for the set total 145,389 out of the possible 200,000, rising another 39,281 since scoring first-day sales of 106,108. Meanwhile, the recently released 2018-W Uncirculated American Gold Eagle advanced 1,710 through its second full week of availability to reach 6,554 coins. Its 18-day total is now higher than last year’s coin which logged a mintage low for the series at 5,800. In its latest report, the U.S. Mint published sales data for 165 numismatic products. Eighty-nine outperformed their prior weekly gains against 58 previously. Not counting the new reverse proof set so as to compare apples to apples, 6 products increased by more than 1,000 units compared to 4 previously. Like in the prior report, 1 product sale its sales reduced. Below are tables showing the latest sales for U.S. Mint numismatic products. The sales period covers from July 23 to 29. Products with an asterisk (*) are no longer available or had no reported sales. Well, it will go down next week after all the returns this week from hsn, coin vault MCM etc. So probably 125k next week. If they keep selling them this week at the mint. if not it will go down to like 115k. The return sets will be at least 30,000. I am returning mine. The fields of the half have multiple spots – the field should be without blemish. Each of the coins (other than 25 cents) had a blemish. But I like the set and will gamble with getting a replacement. I thought the Mint had a Quality Control Team to inspect these coins before sending these out to be shipped. I guess not. Sad. Really! I returned the set and asked for a replacement. I do like the set. It does make me wonder if the MS69’s/MS70’s might be more hard found than expected from these sets. Maybe my expectations are too high? WWI coins still selling pretty well. Can anyone tell me anything about any PCGS graded sets of the 2018-S Silver Reverse Proof Sets. I’ve been looking for some the PF70s but I have not seen any of them at all. In any grade! The best advice is, always specify next day delivery or expect everyone’s trash. I learned this the hard way on the gold mercury dime, ordered 10 standard shipping and by the time I got them 3 weeks later nothing but shiny garbage.